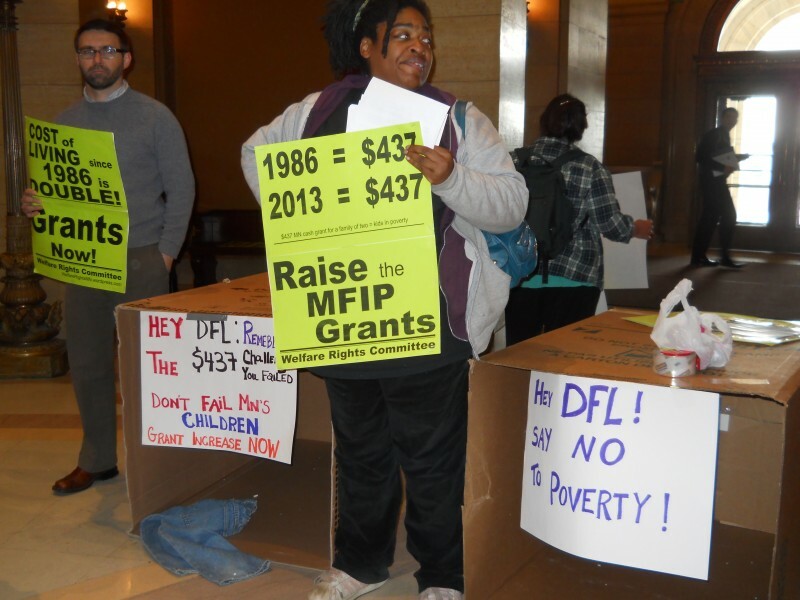 Poverty-ville at MN state capitol | Fight Back! 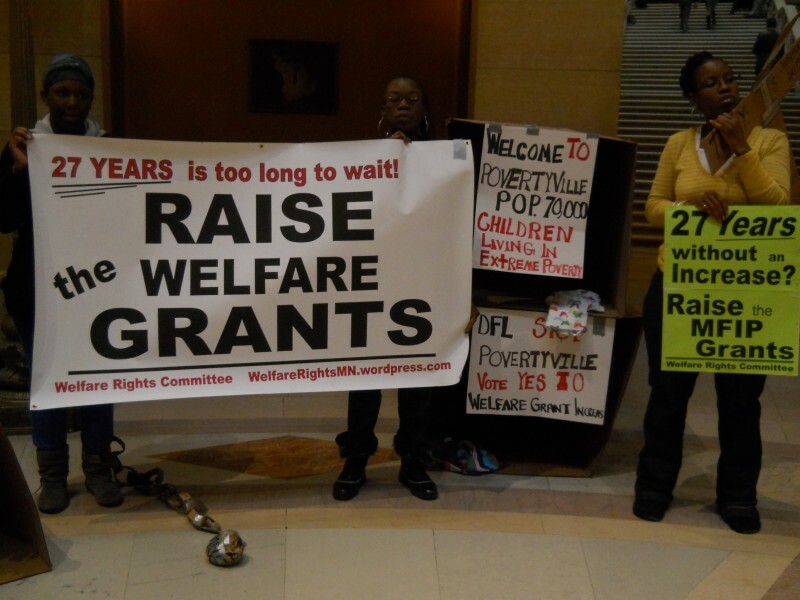 St. Paul, MN - Members of the Welfare Rights Committee and supporters brought dozens of cardboard boxes into the capitol rotunda here, April 15, to construct a ‘Poverty-ville.’ The homeless village was a warning to the ruling Democrats that, if they carried through with their current budget cuts to health and human services, they would be adding to the homelessness caused by the economic crisis. 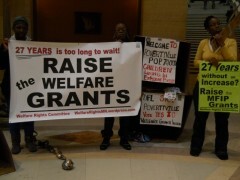 They called on the Democrats to increase the welfare grants. This year, the Welfare Rights Committee (WRC) has a bill to increase the welfare cash grants. Those grants have not been increased since 1986 - 27 years ago. After a continuous high-power pressure campaign at the capitol, there is a version of the WRC grant increase bill in current house and the senate budget proposals.